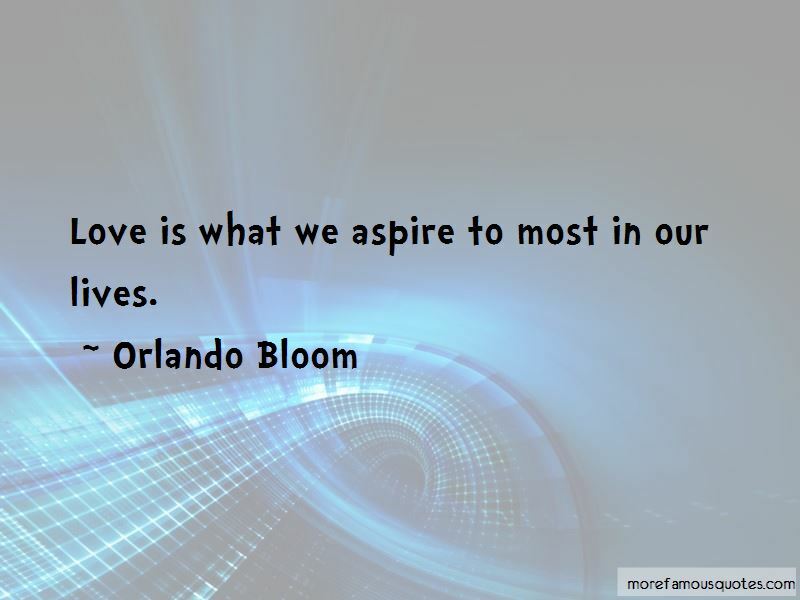 Enjoy the top 194 famous quotes, sayings and quotations by Orlando Bloom. My whole career has been fulfilling my childhood fantasies, playing characters that are larger than life, getting to play a knight, an elf, a prince and a soldier. I think it's sort of a rite of passage for a British actor to try and get the American accent and have a good crack at doing that. I think that its easy to think of the environment as all doom and gloom and that, 'What can we do, it's too late. And the polar bears are gone, and everything is gone.' But really, just the little steps that we can make as individuals make a big difference. I don't buy art to put away somewhere. I buy art to appreciate, enjoy, and live with. It's supposed to add to your life. I've never been a great one for technology. Since I've had a son, I want to be around to see him grow up. Fear is not a friend of mine. But it's something to have a healthy awareness of. I never responded to teaching. I wish I could just be in the movies and still enjoy everything else like a normal person. The philosophy of Buddhism is connected to everything. So it probably does have some connection with acting, yes. There are complications in relationships between men and women. There always will be. Wear comfortable clothes when you fly; my preference is T-shirt and jeans. 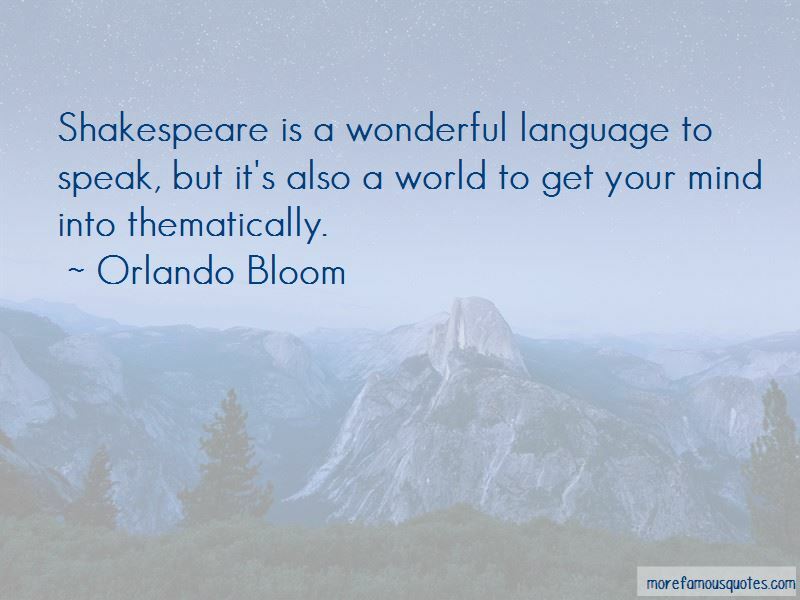 Want to see more pictures of Orlando Bloom quotes? 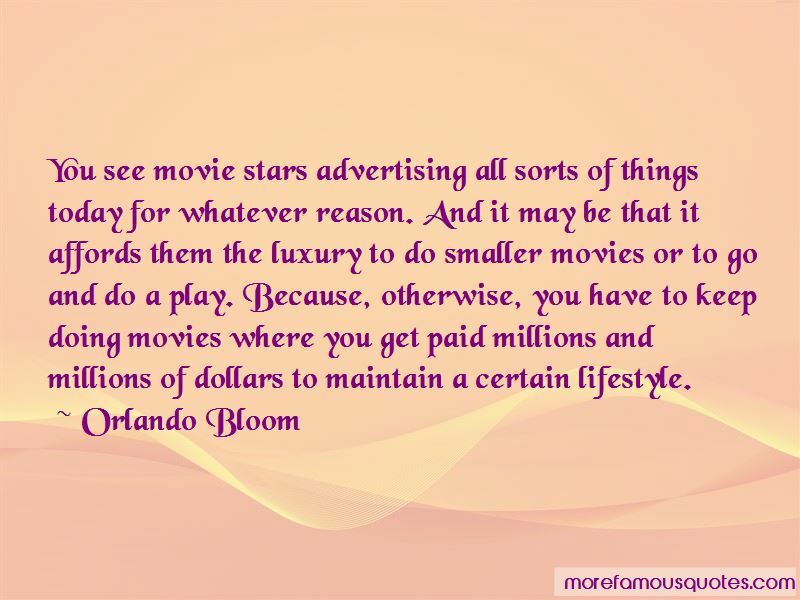 Click on image of Orlando Bloom quotes to view full size.